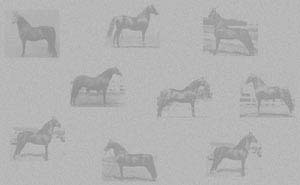 Quizkid was bred by the USDA Farm, a line breeding on the Bennington X Artemesia cross. Both his sire Ulysses and his dam's sire Mansfield came from this pairing. 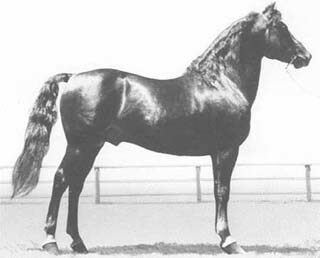 Quizkid was Junior Champion Stallion at the 1948 Nationals. Gerald Taft, a prominent Morgan fancier from Michigan, spotted him and arranged a lease. He brought Quizkid home and and there the stud developed his illustrious career. Quizkid lived 29 years. During his lifetime he won 15 Grand Championships, 4 reserves, 84 blue ribbons and the Get of Sire class at the Michigan State Fair for 6 consecutive years (1956-1961). He also sired 89 progeny, horses that were known to "trot up a storm". His first foal, Springbrook Anne, was the 1952 Junior Champion Mare at the Nationals. Her full sister, Springbrook Quizella, is the dam of Schenectady, the 1977 World Champion Mare, and Darien, the 81-82 World Amateur Park Harness Champion. 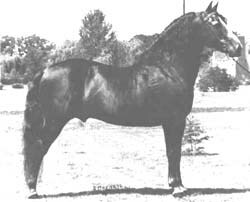 Quizkid also sired Kanes High Society, an invincible show horse with 68 championships for in hand, park saddle and park harness. He was never defeated in a Get of Sire class.